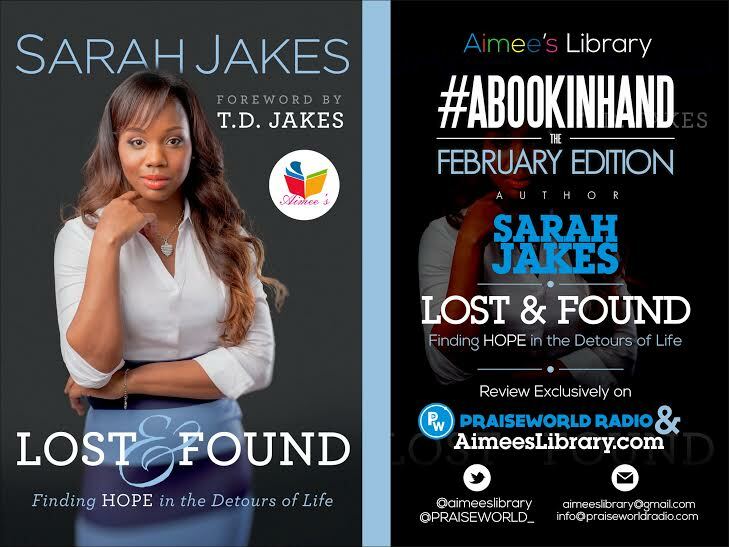 In the month of February, we took on “Lost And Found: Finding HOPE In The Detours Of Life” by Sarah Jakes Roberts, daughter of renowned preacher, Bishop T. D. Jakes. Like every girl, Sarah Jakes dreamed of a life full of love, laughter, and happy endings. But her dreams changed dramatically when she became pregnant at age fourteen, a reality only compounded by the fact that her father, Bishop T.D. Jakes, was one of the most influential megachurch pastors in the nation. As a teen mom and a high-profile preacher’s kid, her road was lonely. She was shunned at school, gossiped about at church. And a few years later, when a fairy-tale marriage ended in a spiral of hurt and rejection, she could have let her pain dictate her future. Instead, she found herself surrounded by a God she’d given up on, crashing headlong with Him into a destiny she’d never dreamed of. For the first time, she shares her captivating journey. Unflinchingly honest and deeply vulnerable, Sarah’s story is a vivid reminder that God can turn even the deepest pain into His perfection. But more than a memoir, “Lost and Found” offers hope and encouragement to women of all ages who, like Sarah, find themselves wandering the detours of a life–and shows that no matter how lost they feel, they, too, can be found. In more ways than one, we find ourselves in that ‘lost’ state, and as much as we feel so full of life, time is what we do not have a tub full of. Each moment we’re reminded to cherish time. But as much as we do not want to waste time with frivolities, isn’t it amazing how much time ‘LOVE’ spends in finding that which is lost? HE would rather leave 99 in search of a lost 1. There is no time, But He’d rather spend the nick of time bringing us back on track! Most times, all looks cool on the outside. And when we get to mess up, we feel we’re the only ones in our circle who have done such wrong. Who do we tell? Who wouldn’t jump on the opportunity to judge us? We’re taught to just hush! Parents, Siblings must always have each other’s backs irrespective of how many times they get to fail. They must always have their hearts closely knitted to keep them from falling even when they fail. It will not always be funny. In fact, I’ve learnt over time that the depth of our love is ascertained in our tests, trials and temptations. And by family, we do not only mean those who we share a link with by blood. In fact, many of us have been blessed with family in ties deeper than physical blood. These people do not envy your progress or judge your shortcomings. They Love anyways, because they’ve experienced what it means to be loved even when you don’t deserve it. I constantly questioned our overall goal in Christianity. Much larger than the tradition of Church, I wondered who was willing to truly carry out the Great Commission. How can we reach those people we aren’t even willing to acknowledge? The homeless, the shift workers, the children on the street, the single mothers, the addicts and ex-cons, the lonely people, the widows and orphans. How can we save someone if we don’t hear his or her cries for help? How can we ever show the power of God to heal if we insist on constantly bruising one another? In spite of all the nuances that divide us, trouble does not escape any of us. Even at those times when the good stuff are not there to spice up the day, When we can’t find the groovy praise in all of our actions, let Love inspire True Worship in all of our actions, one to another. Their Expectations. Their rules. Their culture. Their Life. You just might as well live their life. You wanna be them, they wanna be you! You see, everyone is perfect in their own eyes. The specks in their eyes have become permalinks, but the log in yours? Error. Error!!! If you break them in anyway, you are subject to a punishment of their choice. For some, it’s having to apologize in front of the entire congregation. Others are told to be seen and not heard for the remainder of their life. Usually, their rules and punishments are accompanied by a claiming of the authority of God. In different phases of our lives, we always try to fit in. We have to… ‘beat them or join them’. …I was too young to realize that when you try to live someone else’s life, you just trade one problem for another. We all cannot be the same. We all have different lives, different purposes… And though we all set towards the mark of being with our Father in eternity, we all have different journeys to embark on in attaining this height. We must respect the diversity in the paths of others and love our way through it all. Life indeed may require us to take different paths, but we’ll always find our way home, back to each other. Love is always willing to receive. Always! How often do we get lost in life and never stop to ask God for His divine direction? Instead we go to church each Sunday to receive more fuel to further our will, hardly ever asking what His will is is for our lives. And what do we do when we’re under construction? WARNING!!! This site is under construction. Keep Off! Danger!! Beware!!! No one needs to know all the work that’s going on on our inside, so we think… We forget that nothing would just appear by itself. It takes work and process. Sometimes, these processes become visible for others to see, so they can testify when it all comes to an end. 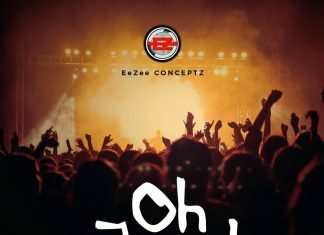 We want to be under construction, but we don’t want to be noticed in the midst of our growing pains. Maybe their taste has become your life, But the most important part of any building, person or plan is the foundation. The least visible, but the most necessary. When under construction, we’re bound to be afraid. But we must keep going, keep building. Eyes will pry, but as life is, the fear of getting burned by fire doesn’t necessarily keep us from touching the fire, We still cook to live. We are only cautious. Lost? How about getting found? We have a choice. To wait and allow God fill the vacuum only He can fill, or to rush into what feels beautiful at the moment… Beautiful because we grasp onto their good moments, and defend them when they treat us like trash. It’s not as complicated as we make it. If it doesn’t make you a better person, if it doesn’t respect and treat you like God treats you, then it’s not worth it. Sarah is an astute business woman and has been integral in the success of many major initiatives at TDJ Enterprises. She currently serves as the senior editor of eMotions, an online inspirational magazine designed to embrace, educate and empower women. She is also the project manager for the Rx Connection Card and she was responsible for grassroots marketing efforts for the feature film, “Not Easily Broken.” Prior to joining the staff at The Potter’s House/TDJ Enterprises, Sarah served as an office liaison for The Air Force. Holla to be a part of #ABookInHand March Edition… Send mail to aimeeslibrary@gmail.com; info@praiseworldradio.com.